2. Fill out and submit the online Anat Baniel Method® International Practitioner Training Program Application. 3. Submit letters of recommendation (optional). 4. Complete a telephone or in-person interview (if requested). 5. If requested, provide official documented evidence of passing a generally recognized English Language Proficiency Examination, such as a TOEFL (Test of English As a Foreign Language). 6. Provide other documentation or information as needed. 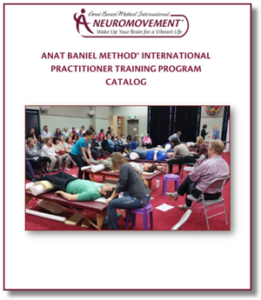 For more details, see the Admissions Requirements and Other Policies in the complete Anat Baniel Method® International Practitioner Training Program Catalog. Note: If you cannot pay online, contact our Enrollment Manager at 702-945-6444 or email training@anatbanieltraining.com for more information on other payment methods. *The application fee is applied toward the first tuition payment after acceptance to the training. Our next practitioner training begins on September 21, 2019, and applications are now being accepted. 1. Enrollment is limited and applications will be reviewed in the order received. 2. You will be notified of the status of your application by phone and email within 30 days. 3. If you are accepted into the program, to reserve your space in the training program, a $750.00 refundable deposit** is due immediately. 4. Upon acceptance, you will also be required to sign an Enrollment Agreement and fill out a medical information form. ** Please refer to Cancellation, Withdrawal, and Refund Policies for more details. Deciding to join the Anat Baniel Method® International Training Program is a very important decision in your life. We encourage you to email our Enrollment Manager Breta at training@anatbanieltraining.com or call 702-945-6444 to discuss any of your questions or concerns. Breta is a certified ABM NeuroMovement® Practitioner and has extensive knowledge and experience that she can share with you. All of us at Anat Baniel Method International are here to serve and support you in your process of making a very exciting and life-changing decision. The Practitioner Training Program is 10 training segments, for a total of 100 days of training, 64 days In-person (IP) and 36 days Online (OL) plus conference calls during the OL training times. The total training duration is approximately 14 months. 1. Successfully complete graduation requirements for the Practitioner Training Program. 1. Successfully complete requirements for NeuroMovement®: Working with Children with Special Needs. 2. 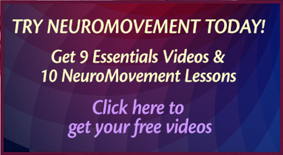 Submit the online NeuroMovement®: Vitality and Anti-Aging registration form. 1. Successfully complete requirements for NeuroMovement®: Vitality and Anti-Aging. 2. Submit the online NeuroMovement®: Working with High Performers registration form.